New Shows! New Designs! New Lines! It has been a busy weekend. This was the first of the Spring Shows for 2011 and it was Great!. Last year I really didn't apply for spring or summer art shows because of my summer work schedule. Also many other artist informed me how spring shows don't produce the same venue as fall and winter show. Many people do a lot of their shopping for the holidays season and that's why the end of the year shows are more profitable. This year however I thought I would take a chance and step out a little earlier to test the waters of spring. I truly felt I made a lot of new connections with this show and for an artist still in the "beginning stages", it is really a great help and plus I sold some of my major pieces as well. 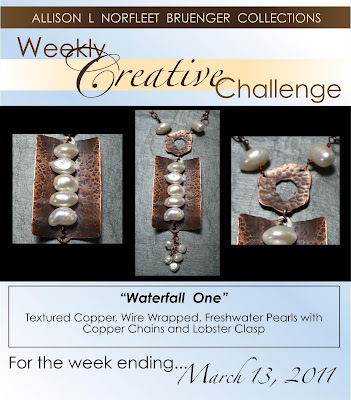 This week's design is one of those pieces that found a home this past weekend. 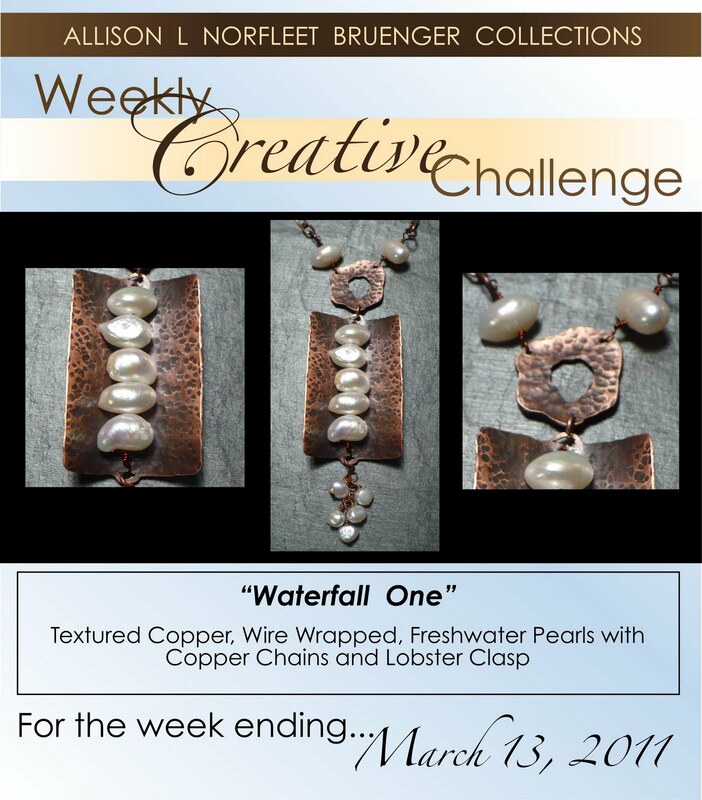 "Waterfall One" is part of a series of 14 designs in which I will be combining pearls, gemstones, and crystals to create a feeling of flowing waters down a textured background. Most of the pieces will be in copper, but I might play with other metals and textures as well. Keep your eyes open for the other designs as I showcase them. I love finding wonderful pearls and gemstones to enhance my designs and I have been blessed to find such great strands lately. Well I have a lot on my plate to work on so I will sign off for now. I hope you all enjoy the new line. Take Care and Stay Creative !